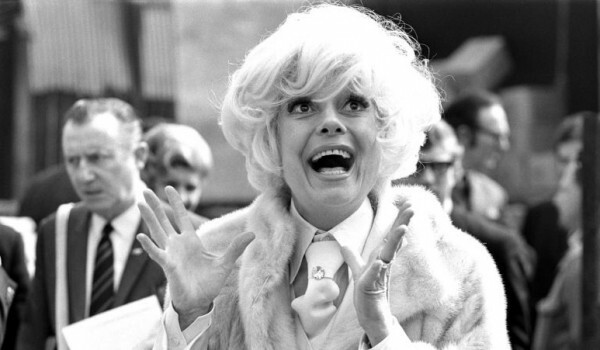 Beloved theater musical performer Carol Channing passed away on January 15, 2019. 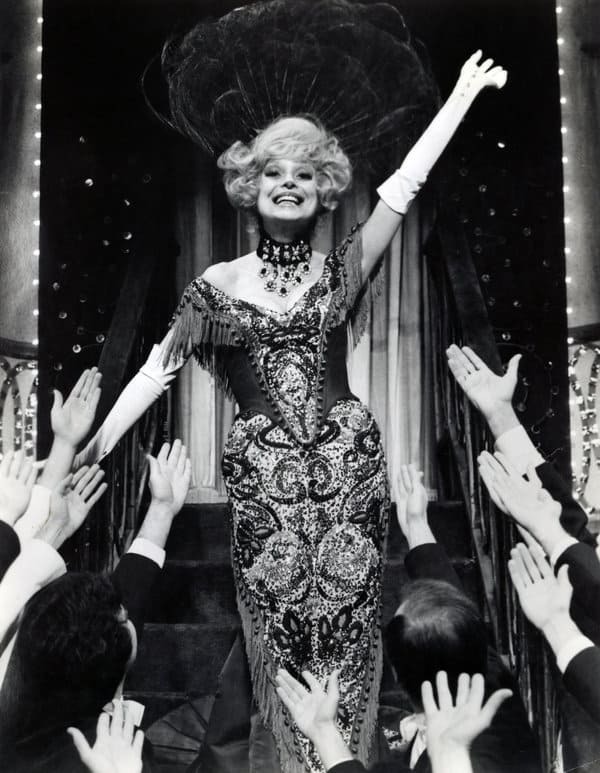 While she didn’t have much in the way of frock flick roles, she made an indelible mark on me with her comedic charm and all the amazing Broadway soundtracks she brought to life. Here’s to you, Dolly! Supposedly set around the turn of the 20th century. 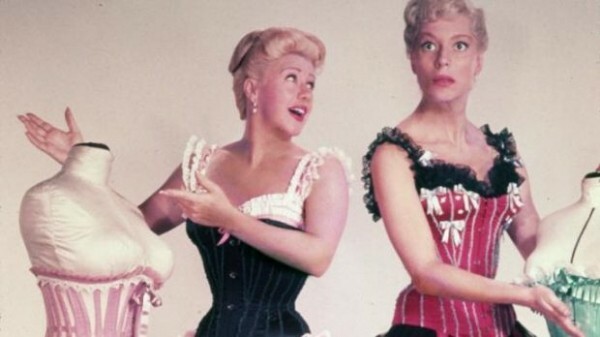 What’s funny is that Channing & Ginger Rogers are corset salesladies! Not film but Broadway, still had to include her most iconic role! 1960s does 1920s with glam. How do you remember Carol Channing? I read the word in her voice. 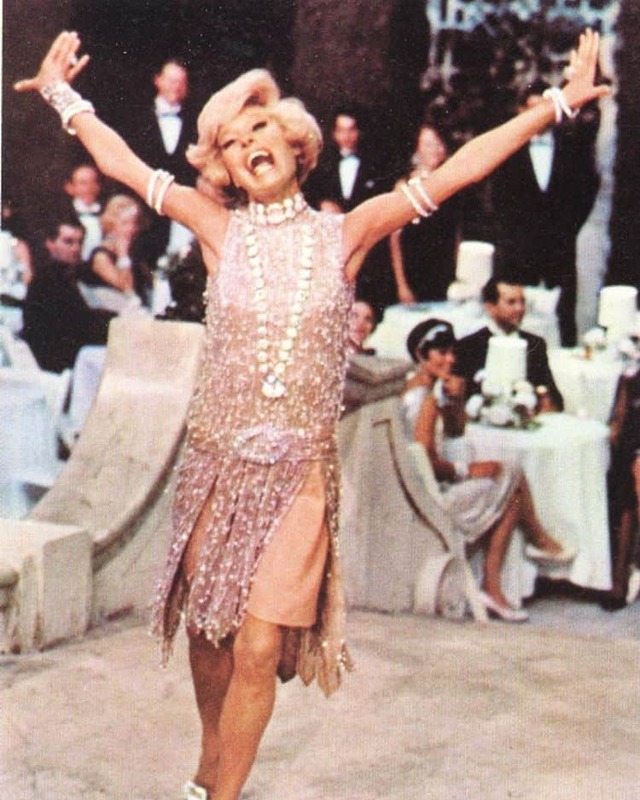 There was such a memorable quality to it, there will only ever be one Carol Channing. Not a San Francisco native, but close to. She was loyal and true, and full of joy. I mostly remember her from the audio version of a Richard Scarry book. But also, Muzzy. Raspberries! 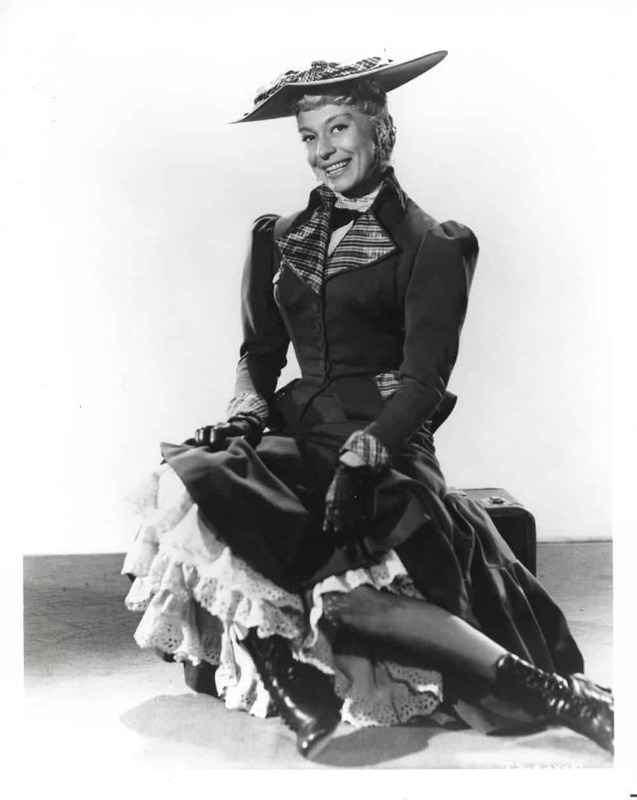 I remember listening to the Broadway soundtrack for Hello Dolly and wondering why they didn’t cast her in the movie. 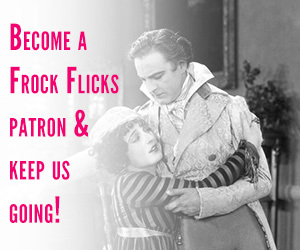 Because she created the role and would have brought something different to the movie. I’m not saying Ms Streisand was not great bc she was, but I’ll always wonder. Muzzy was what I imagined Millie would be all grown up and rich. I always wanted her to have a bigger part in the film. I saw her and Satchmo on Broadway in Hello Dolly in the 70s. I was a bit too young to appreciate what I was seeing then, but now I can look back and be glad. The first thing I saw her in was a 1985 miniseries of Alice in Wonderland where she played the White Queen, sang a song about jam, and then turned into a sheep! Oh the JAM song is just the weirdest thing ever, such fun!!! Jam tomorrow, jam yesterday, but never never jam today! Wow. I had no idea that Carol Channing had passed away. R.I.P., Ms. Channing. I’ve never seen that first movie, but I’ve been a long-time fan of this clip from it! My favorite role of hers is the White Queen, though. Particularly during Jan Tomorrow Jam Yesterday. This was a revelation! Thanks for sharing!